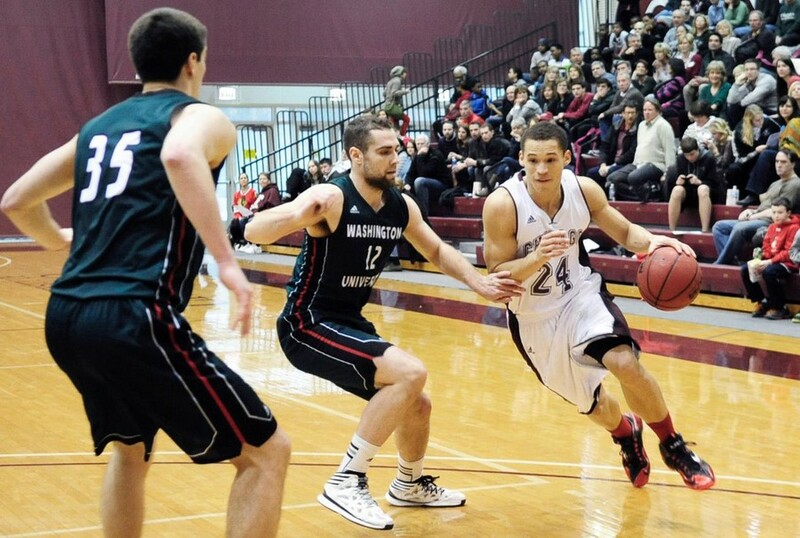 This weekend the University of Chicago men’s basketball team (9–3, 1–0 UAA) beat the No.1-ranked WashU team (11–1, 0–1 UAA) by an impressive score of 63–43. In addition to pulling off this upset, the game also marked the fourth straight win for the Maroons. And execute they did. Right from the opening buzzer, UChicago went on a 10–0 run to take control of the game. The Maroons played well on both sides of the floor, forcing the Bears into taking bad shots while shooting an impressive 43.8% on offense. By halftime the score was 33–17 in favor of the home team. However, coming out of the break Wash U attempted to turn the game into a physical battle, focusing most of their offensive energy into trying to score points in the paint. Yet, UChicago was able to stay composed, matching their layups with scores on the other end. “Wash came out in the second half looking motivated to make a run and gain momentum, but we maintained our composure and kept the pressure on to limit their run”, said Fenlon. In fact, the visiting team was never able to gain traction, as after the half they were never able to pull the game closer than 15 points. However, it wasn't just spectacular defense that allowed the South Siders to pull off the 20-point win. The Maroons beat their opponents in almost every category. The Maroons out rebounded the Bears 51–42, out shot them from every position, and more than doubled Wash U’s number of assists. The only categories in which Chicago didn’t prevail were in turnovers and 2nd chance points. Nevertheless, this game was a great showing of the Maroons potential and set the stage for a great season. The next game the Maroons play is a home game against Rochester this Friday. The Yellowjackets are currently 4–8 overall and 0–1 in conference play, having lost to Emory University by 15 points last Saturday. The last time the University of Chicago and University of Rochester played, the Maroons won 69–62. Tip off is set for 8pm on the 16th in Ratner Athletics Center.